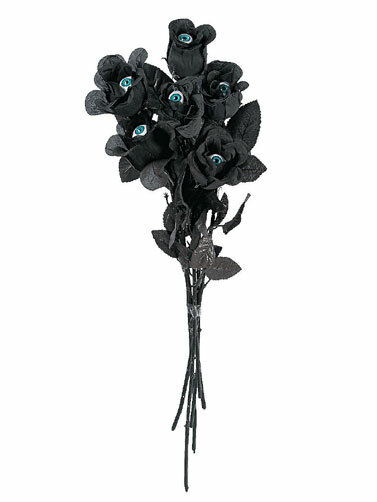 These Black Roses with Eyeballs decoration make a scary Halloween centerpiece when you arrange them in a vase. Perfect for Halloween craft projects and for use as party favors. 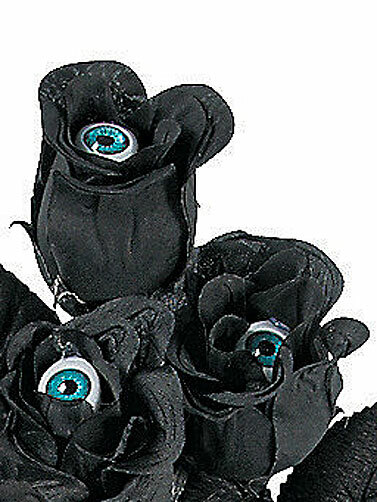 Set includes one dozen black fabric roses each with a plastic eyeball in the center. Polyester. Black Roses with Eyeballs measure 17"L. 12 pc.